Hunt: Black Bear, Moose, Wolf, Grouse………. 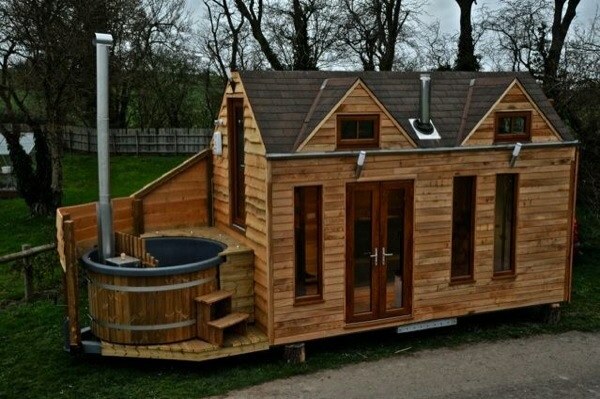 Have you ever heard about a tiny house that is also a hot tub? Yes, the project can be made and it already exists, thanks to a small company based in Warwickshire, England. 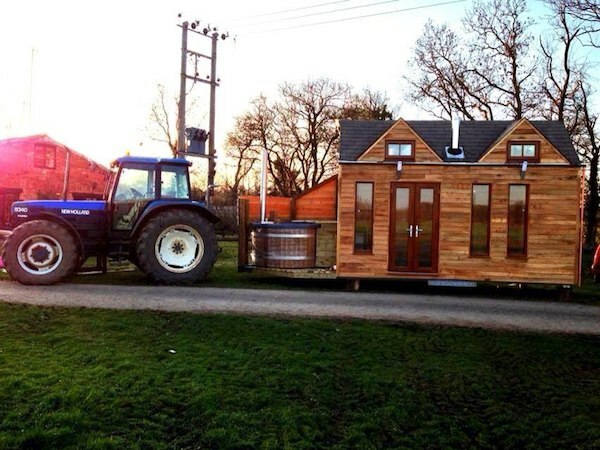 The architects thought about building a home that offer comfort, relaxation and entertainment at the same time, and built this amazing tiny home that comes with an attached hot tub. The company is specialized in building tiny homes and merging utility with creativity. The inside is fully equipped as you will find a small kitchen, lounge area, two bedrooms upstairs and a functional heating system. So after taking a look, you can say that it is the most perfect small vacation house for you and your family. As tiny as it is, there is still plenty of space inside for a family with two kids. The outside hot tub is just an extra feature that tops the awesomeness of this house. Reblogged this on Hunting is a Sport. A delectable treat: Bear roast! Two young kids moved into the remote region of NW Ontario and took with them a dream........ 'It became Wawang Lake Resort' Welcome to Wawang Lake Resort's BLOG and hope that you'll enjoy what we have to write about and hope that you'll join us. This is where you will find information regarding our resort, personal stories, fishing tips & techniques, hunting do's and don'ts and general outdoor activities. If you're looking for some good fishing and hunting information - then browse our articles related to your specific interest. We look forward to you blogging with us follow us and your opinion matters!